Can You Use A Clarisonic With Microbladed Eyebrows? Don’t we all just love skincare? Well, maybe not all of us, but cleansing brushes have been growing in popularity over the past years and for good reason. After getting microbladed, you shouldn’t use harsh exfoliators or chemical peels in order to have good retention. So, is using a cleansing brush like a Clarisonic okay? Let’s explore that. The amount of brands and new styles of cleansing brushes have grown in proportion to the growth of available skincare products in the market. And if you haven’t noticed, it’s grown a lot. For the sake of this blog, we’ll stick to just one brand–the Clarisonic. What does a Clarisonic do? 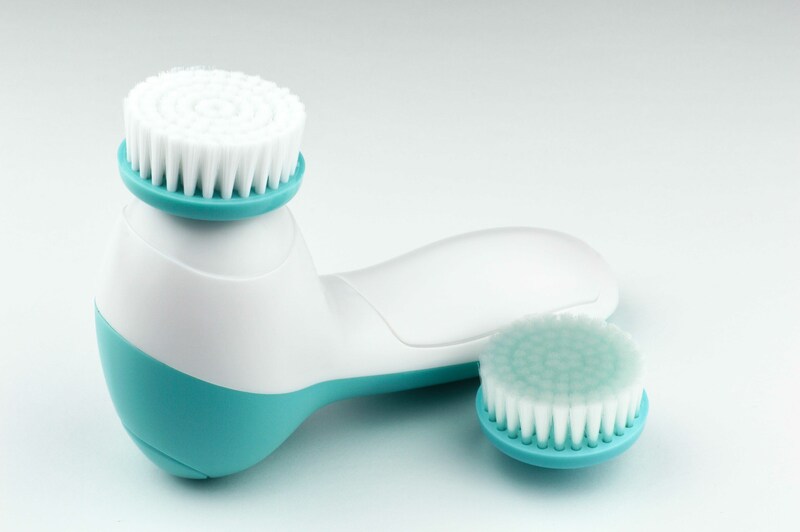 According to its website, the Clarisonic cleans six times deeper than using your hands alone to cleanse your face. It doesn’t rotate but it does use a “gentle sonic micro-massage action” that incorporates 300 movements per second… what? Basically, it moves really quickly and almost feels like it’s vibrating. That’s how it gets deep into your pores, which is why it’s good for makeup removal, cleansing, and exfoliating. It also helps guide you with pulsing movements to tell you when it’s time to move on to the next zone on your face. It expects you to clean your forehead for 20 seconds, T-zone for 20 seconds, and each cheek for 10. If you’re washing your face in the shower where there is no mirror, you’re bound to pass over your eyebrows at least once. Will the Clarisonic ruin my microbladed eyebrows? The real answer to this question is dependent on your skin type, skincare routine, span of time since the service, etc. To make a long explanation short, all cleansing brushes will contribute to the fading of your microblading results if you use them on your eyebrows. Are you crazy?! DO NOT use a Clarisonic or any cleansing brush on newly microbladed eyebrows. You will not only remove pigment from the incisions, but you could very well expand the incisions at the same time. That would cause major irritation, bad results, and possibly even scarring. The healing process is longer than it seems so continue to avoid using the Clarisonic around your eyebrows for at least two or three weeks. That way, you can make sure your brows stay on point. Whether your skin is dry, oily, or combination, exfoliation does the same thing. It takes away dead layers of skin and gives us that beautiful glow we long for. Constant use of a Clarisonic or cleansing brush will slowly peel away the layers of skin that have pigment embedded in them. The results are circumstantial, but at the end of the day, it will cause fading more quickly if used over your eyebrows. So Can I Use a Clarisonic or Not? You can use a Clarisonic because it won’t ruin your brows per se, but don’t use it over your eyebrows. Cleanse your face in front of a mirror so you can be sure to avoid those beautiful, bladed brows. In that way, you’ll enjoy your retained results much longer and with glowing skin! Was the fear of not being able to use your beloved Clarisonic stopping you from getting microbladed? Well, fear no more because you can use it (eventually)! Book here to be one step closer to your new brows and keep coming back for more Tips & Information.